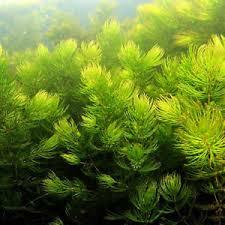 Hornwort is a hardy pond moss that is great in koi, goldfish, and back yard ponds to help keep the water clear. We have an abundance of this and will pack a Priority A box full of this. Use it to for baby fish to hide in, Great in betta bowls, Inquire about larger quantities. We combine orders on Ebay as well as our own website and ship plants on Monday, Tuesday and Saturday weather permitting in your area. Expect delays if forecasts are above 94 or below 40 in your area. Non perishables go out same or next day. 10 sets of leaves will ship for same postage as one set. We include extra when you order 3 or more sets of leaves. 2 or 3 African violet plants will usually ship under 1 lb minimum. Pre-Order - This item will be available on 6/3/2019. Pre-Order - This item will be available on 6/12/2019.